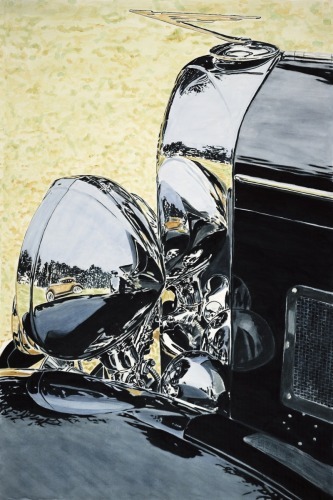 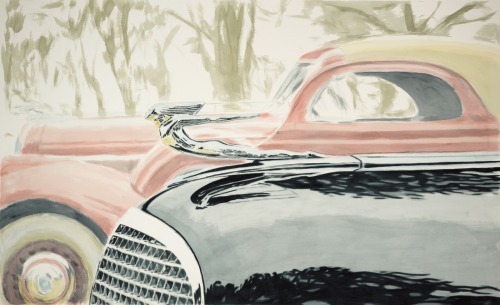 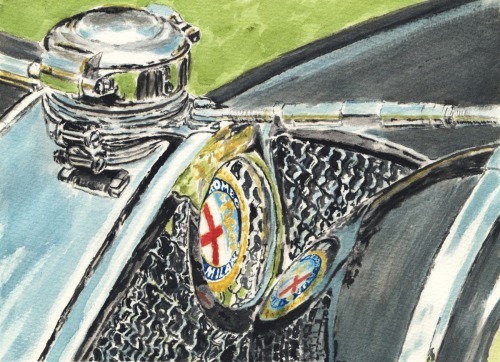 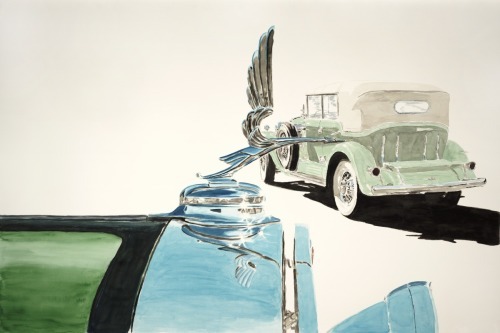 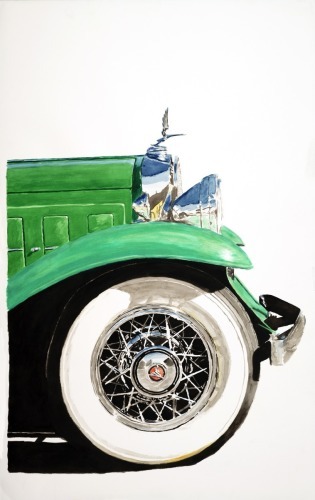 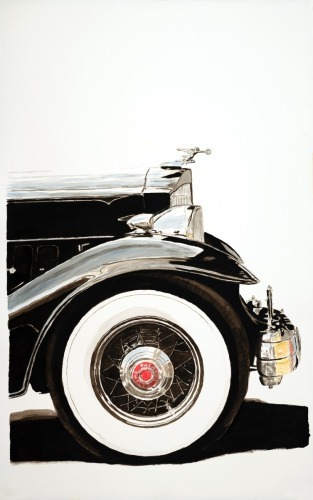 Watercolor painting of the nose of a Packard 12. 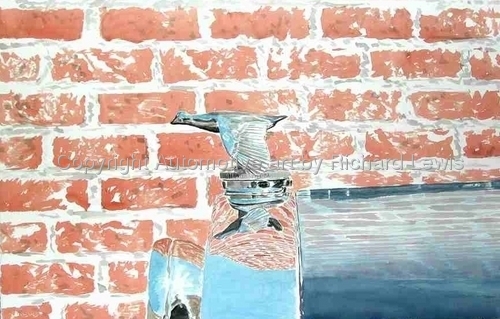 The original is 40"x25". 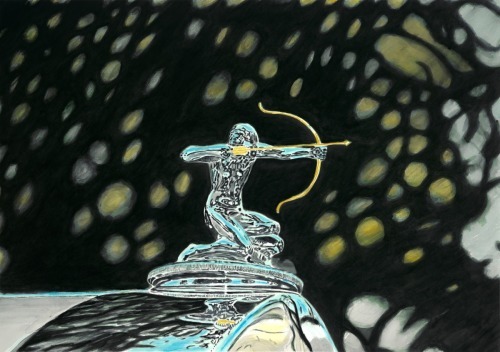 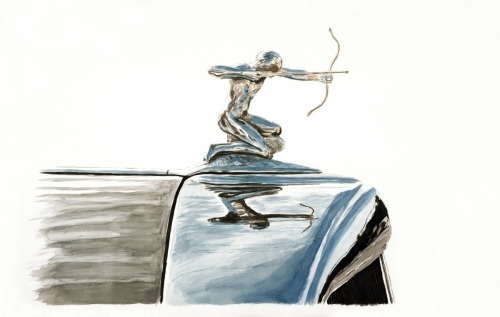 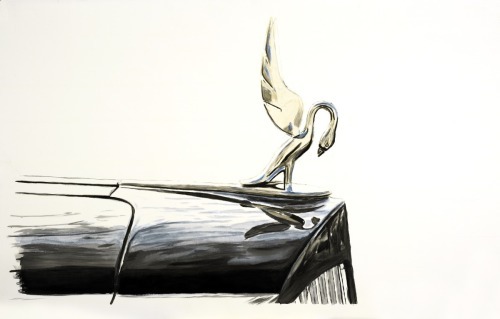 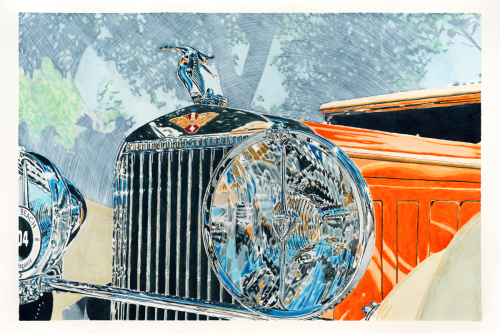 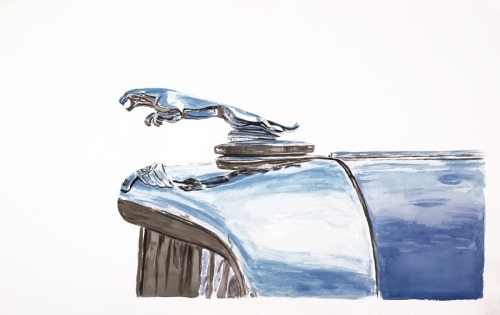 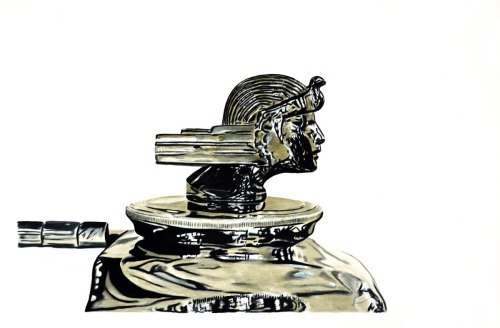 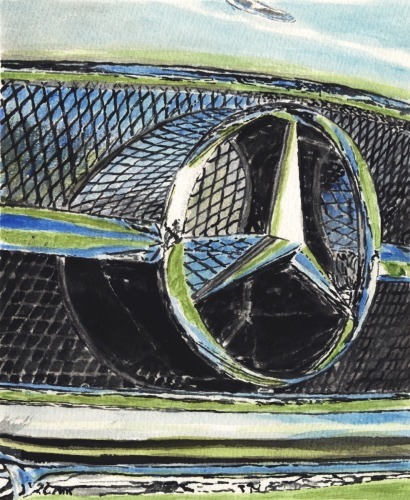 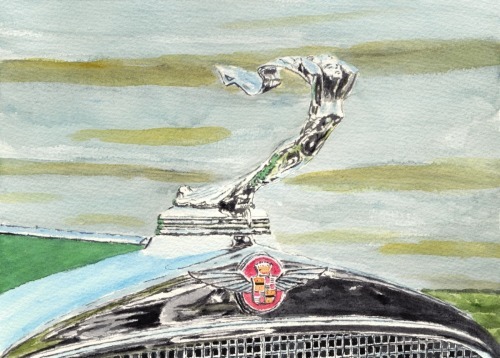 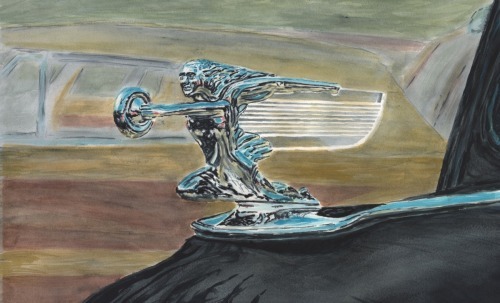 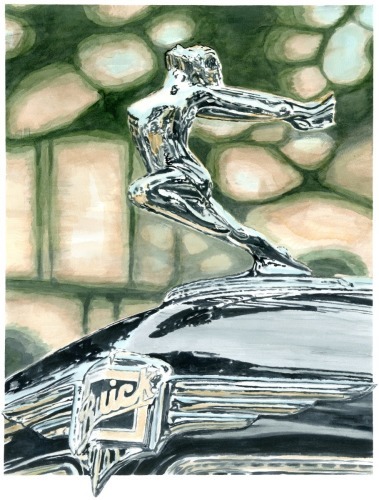 8" x 5"11.25" x 7"14.25" x 9"17.5" x 11"20.75" x 13"24" x 15"
Watercolor painting of the hood ornament of a Pierce Arrow. 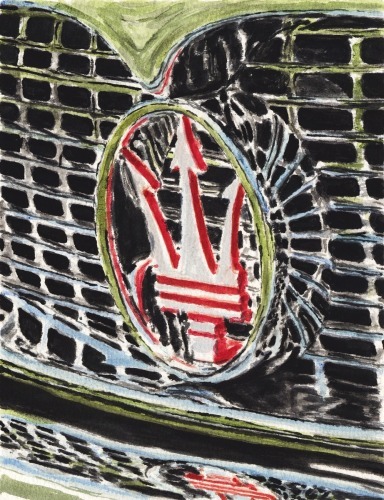 5" x 8"7" x 11"9" x 14.25"11" x 17.25"13" x 20.5"15.25" x 24"
5" x 7.75"7" x 11"9" x 14"11" x 17.25"13" x 20.25"15.25" x 24"
Watercolor painting of the hood ornament of a Model T Ford with a brick building reflected in it.